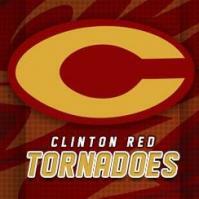 Clinton High School is a Class 4A school with an enrollment of 640 students. Clinton High School has a very diverse student population, which gives our students a chance to learn to get along with people of all backgrounds. We strive to provide our students with a challenging academic curriculum, a wide variety of extra curricular activities and the opportunity to participate in community activities. As you can see by the banner above our students have achieved great success in many areas. Teams at CHS have won state championships in football, boys basketball, girls volleyball, baseball, girls track, boys golf, girls golf, legal team, vocal music, and band. Individuals have earned academic all state honors, all state honors in sports, vocal, band, and engage in various shows and competitions in vocational programs, and through our career tech center at Burns Flat. We look forward to a challenging 2018-19 school year and expect our students and faculty to reach the goals we have established for the coming school year. Communication with our parents is of extreme importance and we want to work hand in hand with you to push your students to excel at a high level. The doors at CHS are always open for you to come and see what is taking place at CHS as we continue the tradition of excellence that has been established by the past graduates of Clinton High School. Congratulations to Mrs. Debbie Carlisle, the Clinton High School 2018-2019 Teacher of the Year! Mrs. Debbie Carlisle currently teaches 9th Grade English, which she has taught 30 years, as well as Alternative Education. She has also taught Newspaper, 7th, 8th, 10th, & 11th Grade English. She has taught a total of 34 years, with her first four years at Merritt Schools and the last 30 years at Clinton High School. Outside of school, Mrs. Carlisle is the Director of Summer Playground and referees for volleyball. She enjoys volunteering for the Clinton United Fund, reading, singing, and spending time with her family. Mrs. Carlisle attended Washita Heights High School and has a masters degree from Southwestern Oklahoma State University. She is married to Kenny, who is a project manager & Inspector for the Oklahoma Departmant of Transportation, and has three children. Daughter Mickael is a Child Welfare Specialist for the OKC Department of Human Services. Son Kris is a Bridge Safety Inspector for the Circuit Engineering District and is married to Lindsey, a Territory Sales Manager for the Altria Group Distribution Company. Son Kyler is a freshman at Clinton High School. Normal School Hours – 7:30 a.m. to 4:00 p.m.
Click here to watch Red Tornado TV and CPS Sporting events LIVE from your computer.